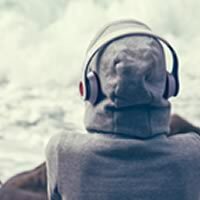 Voice Collective also offers support for anyone who cares for a young person who hears voices, sees visions or is struggling with other unsual experiences or beliefs. We can offer a range of support to parents and carers, including peer support workshops, 1-2-1 advice, information and signposting. If your child, or someone you support, is hearing voices or seeing things – get in touch to see how we can help. I didn’t realise how stressed I was until I stopped to talk. It was like I was alone in the trenches. Now I know I’m not alone. A carer is someone of any age who provides unpaid support to family or friends who could not manage without this help. This could involve caring for a relative, partner or friend who is unwell, including people who are suffering mental distress. If you care for a young person who has mental health problems you may have difficulty identifying yourself as a carer. You might think you’re just doing what any parents/relative/friend would do and not see yourself as doing anything special. Even if you don’t see yourself as a carer – if you support a young person who is struggling with the voices they hear, you are entitled to the same help as any other carer. Being part of Voice Collective has helped us feel that we’re doing something to help our son. It’s a relief and support to know this exists. The majority of carers struggle alone and often don’t know what help and support is available to them or their child. If you spend most of your time supporting someone else, you might find that you are neglecting your own needs. They might not feel like a priority. As understandable as this is, it can have a negative impact on both you and the person you care for. Voice Collective can help you find the best possible support for you and your child. Through our peer support workshops, you can meet up with other parents/carers who can really understand what you’re going through. The last two years, I can only describe as a living hell. When I attended your first parents support group the blackness disappeared and the lights are still shining brightly. 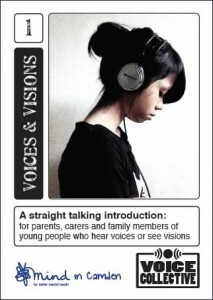 Many parents/carers are shocked when their child tells them they are hearing voices or seeing things. With all the stigma surrounding voices and visions, they often feel afraid for their child’s future and unsure how to help. Talking to the workers at Voice Collective, and meeting other parents, can help you feel more equiped to support your child. Some of our workers have personal experience of hearing or seeing things, but all of them have worked with children and young people who do. They can help you make sense of your child’s experiences, learn some simple coping strategies and help you feel more empowered to support your child.